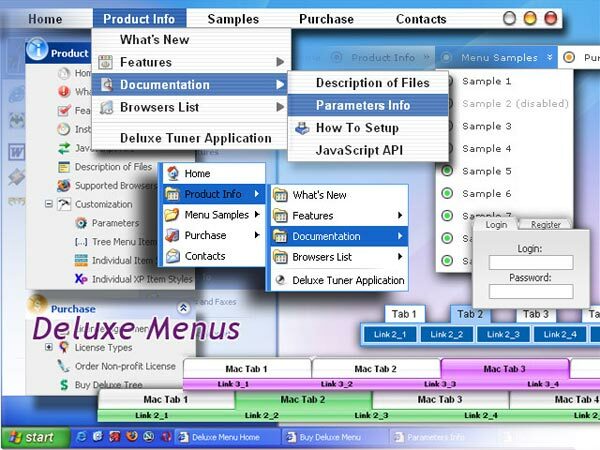 Q: Do you by chance have an example of the java popup menu working with XML? A: You may generate a menu from a database or XML using any server-side script, e.g., PHP, ASP, VB, etc. Q: I have used the menu features many times and am used to having the code to be inserted into the html page provided when the project is saved. I have successfully created my first popup window (not the popup menu) which I want to use for text information to open when a text is clicked. The preview has this working fine but when I saved the project there was no code created to install on the site and I cannot find directions within the program or at your website. A: For example you want to open your popup window when you click the link on your page. 1) Open your page (for example index.html page) in any text editor. 2) Create a popup window in Deluxe Tuner. Add your content. You can use HTML content, Iframe (url) or any object on your page as popup windows content - Object ID. This is a simple HTML code for content. Here you may also set link to content page or ID of some element. 3) In the 'Actions' section specify the id of your link (win1) for the onClick event. 4) Select the template you want to use. 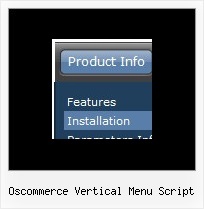 5) Export your popup window to HTML page. File -> Export -> To HTML. Save it in any testfolder. 6) Open the generated deluxe-popup-window.html file in any text editor. 7) Copy 'deluxe-popup-window.files/' folder and deluxe-popup-window.js file into the samefolder with your index.html (root folder of your website). Q: How change the color of the link in the dhtml vertical menu if the link is already visited. But when I want to use this option I need to include dtree_ss.js in the html page. I can not find this file in the zip file I downloaded. Can you help me with this file or tell me where I can find it? You should use dtree.js file only.